The Dry Fly Fishing Here has Been Quite Good! The dry fly fishing here has been quite good. If throwing small dry flies into soft water eddys to multiple rising fish is your cup of tea, then this place is for you. The section from the Benton Crossing Bridge down to the fishing monument is now closed. Flows have decreased to 88 cfs. The cooler water has prompted the fish to feed in the deeper runs now and target nymphs and egg imitations. Look for rising fish in the late-morning and afternoons as the daytime temperatures climb. They will be found in the slower eddys around the bends in the river. 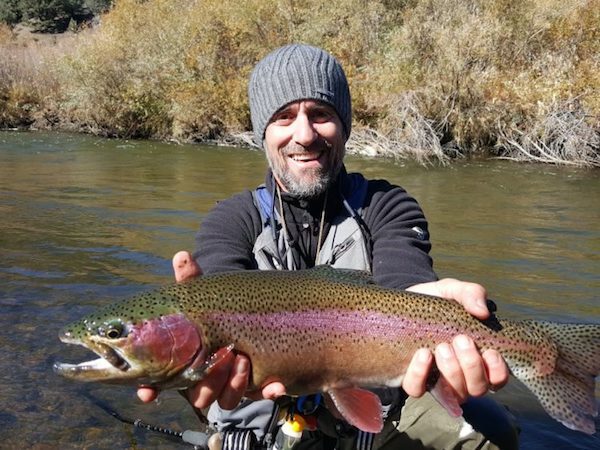 Walker River - East Fork (CA): This is an Epic Time to Fish the River if you Know Where to Go.